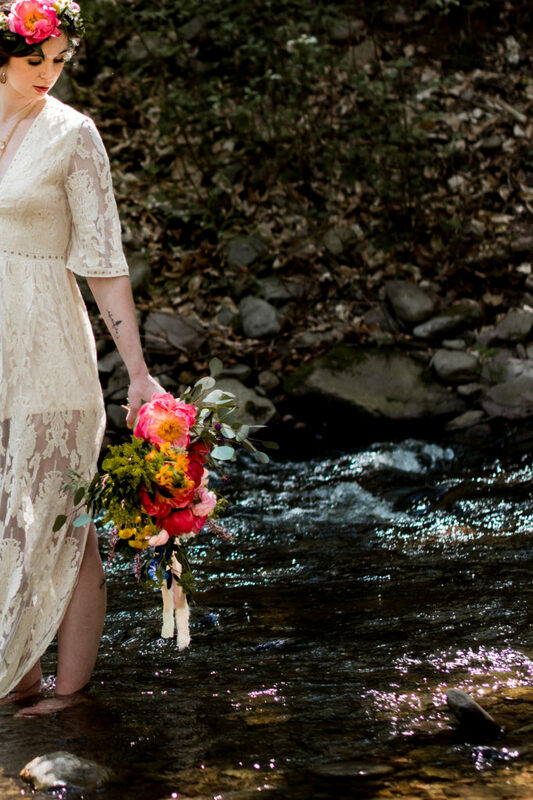 Check out this Bohemian inspired Elopement styled shoot! 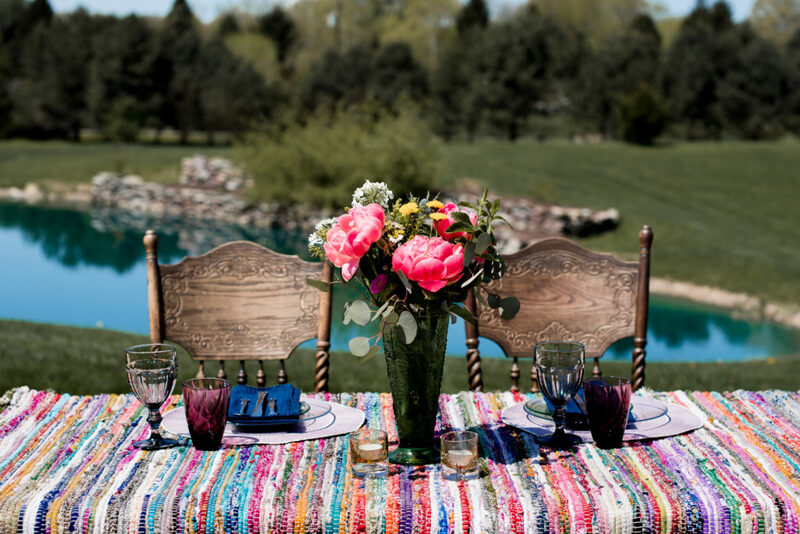 We’re going to throw this blog post back to May 2018 (because I’m a wee bit behind in blogging) and we’re going to highlight this colorful bohemian inspired elopement styled shoot that took place at the Lodge at Raven Creek in Benton, Pennsylvania. First, let’s chat about the Lodge. It is a Bed & Breakfast located just around the corner from Rickett’s Glen State Park and it is absolutely adorable! 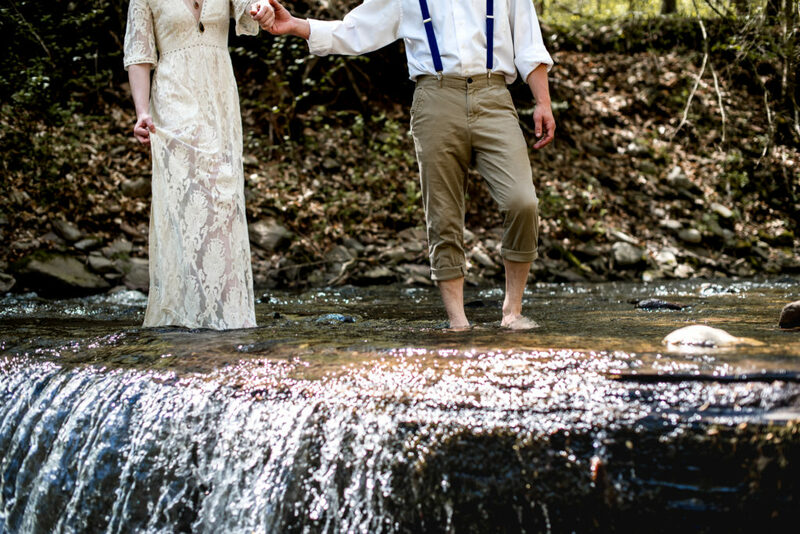 They have a fantastic outdoor setup, a dreamy bridal suite, a pond, a new chapel (that I need to go back to shoot because it is so new it wasn’t there when I was just a few short months ago), and probably anything else you can ask for. Thank You so much to Brooke for hosting us! We had a fantastic time!! My only regret is not getting more landscape shots of your grounds!! 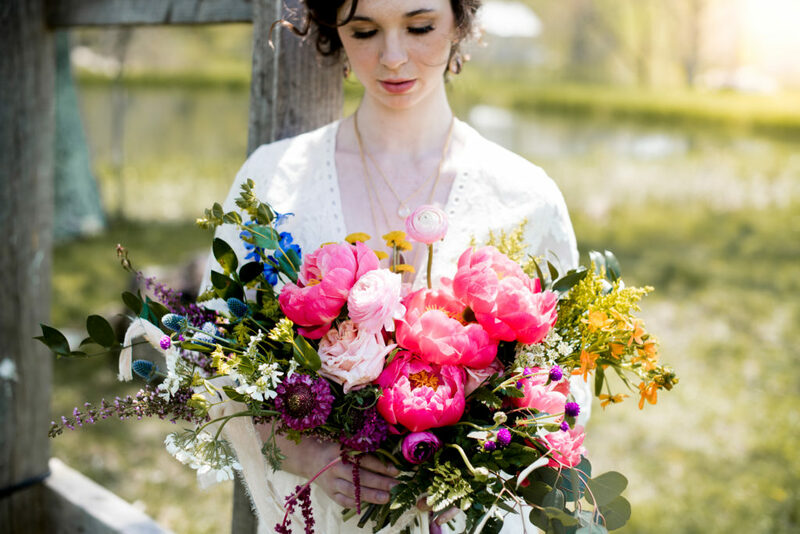 Second, we’re going to chat about the absolutely stunning flowers from Snapdragon Flower Co! Valerie knocked this one out.of.the.park. 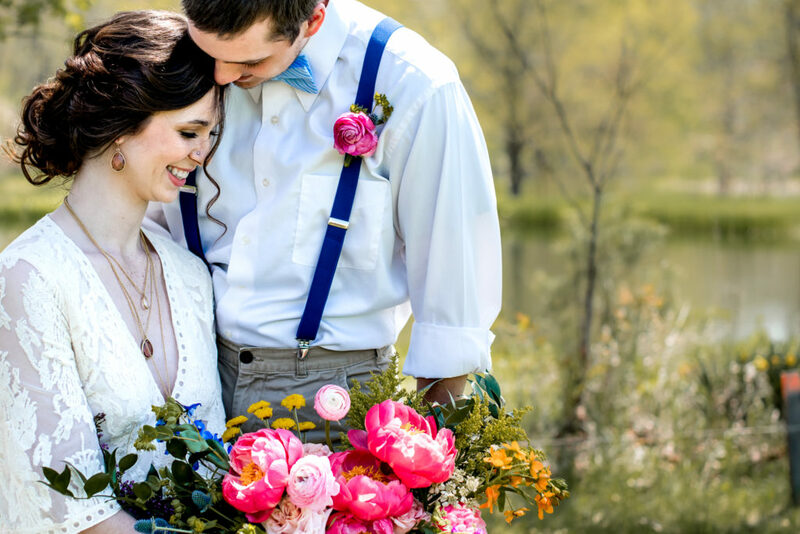 The bouquet, boutonniere, table vase & floral crown were unbelievable and everything I dreamed of and more. I have no words. Thank You! Third, a giant shout out and thank you to handstolearn for the perfect invitation suite! 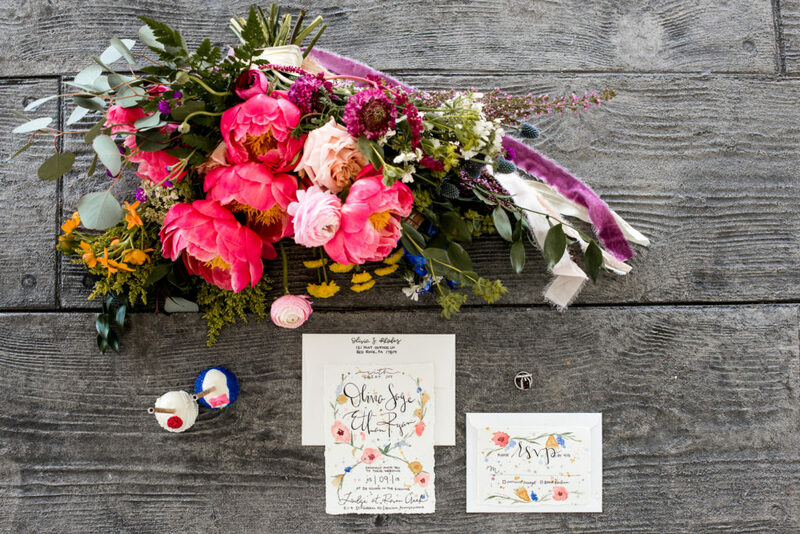 Angel was a dream to work with a created the perfect invitation suite for the shoot. Thank you so much! Fourth, thank you to @Satiluv for making Kate an even more beautiful version of herself! 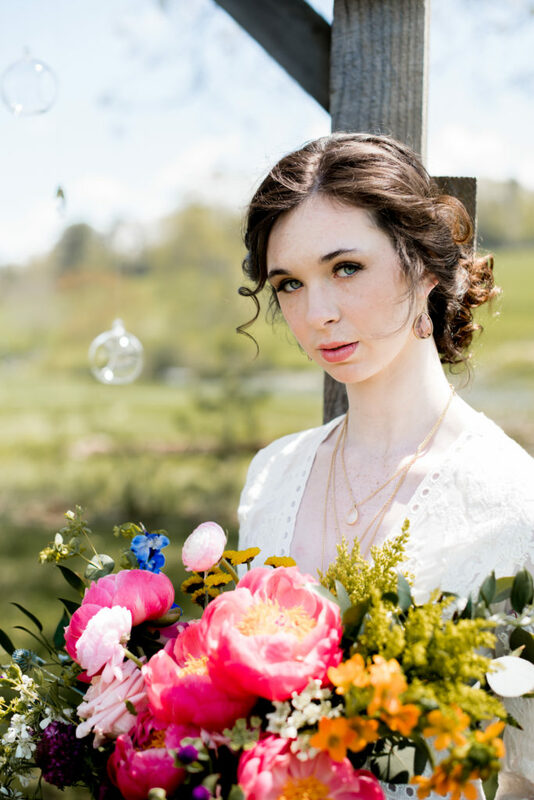 The hair and makeup were exactly what I envisioned when planning the shoot and cannot thank you enough for making my vision come to life in the most perfect way. 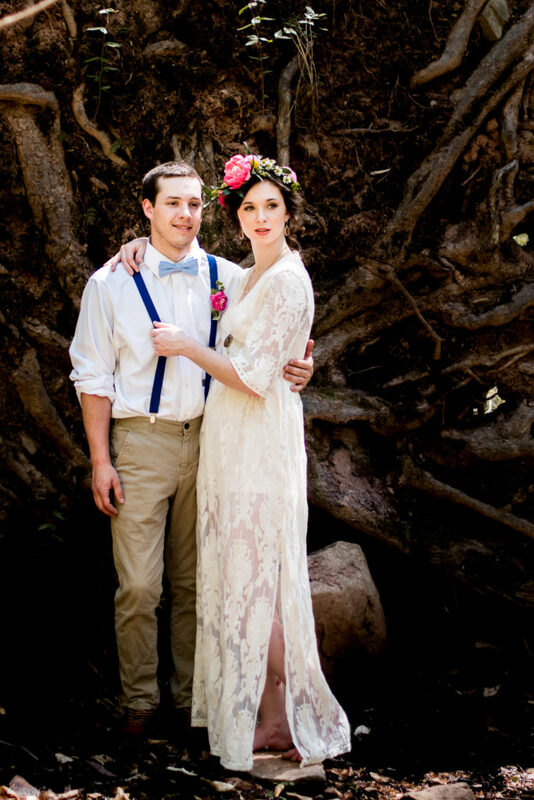 Last but certainly not least, THANK YOU to Kate & Bowman for being the perfect models! I’m glad we got to celebrate your relationship and capture some wonderful photos of the two of you before your giant move across the States to California! Dymonds by Kate made the most adorable cake pops for the shoot. (I accidentally let them melt by leaving them in the sun so there are only a few photos of them in the full glory, but don’t worry they still tasted amazing!) . Basically everything Kate makes is amazing, so go visit her and buy her delicious treats! The dress Kate wore was from Sobo Boutique. Alicia is my go-to girl for anything cute & bohemian. Her shop in Pensacola, Florida is awesome. 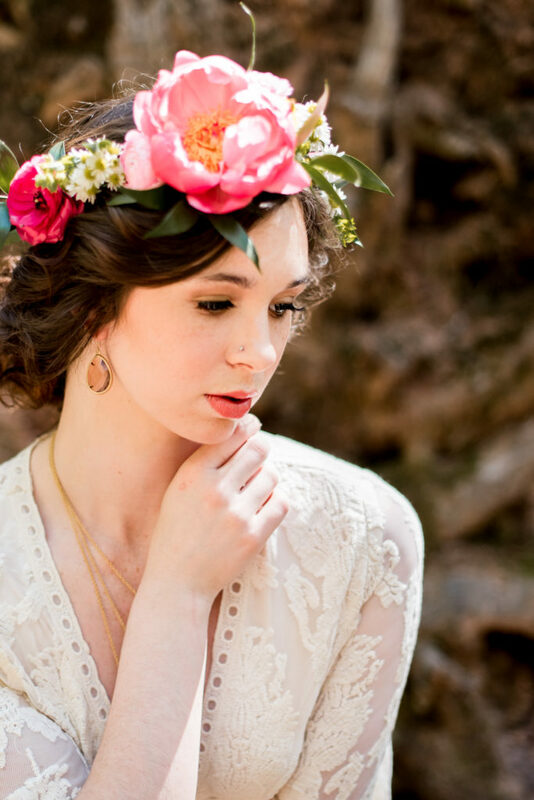 The wedding set that we used for the shoot is from Meadows Jewelers in Pensacola, Florida. The jewelry Kate is wearing is from Chole+Isabel online. After shooting at the Lodge at Raven Creek we moved over to Rickett’s Glen State Park for some adventuring and wilderness photos. Note: I may have taken us in the wrong direction and turned a .25 mile hike into a 3ish mile hike. Sorry guys! Thank You so much to everyone who helped make this shoot amazing! I appreciate all of your hard work! 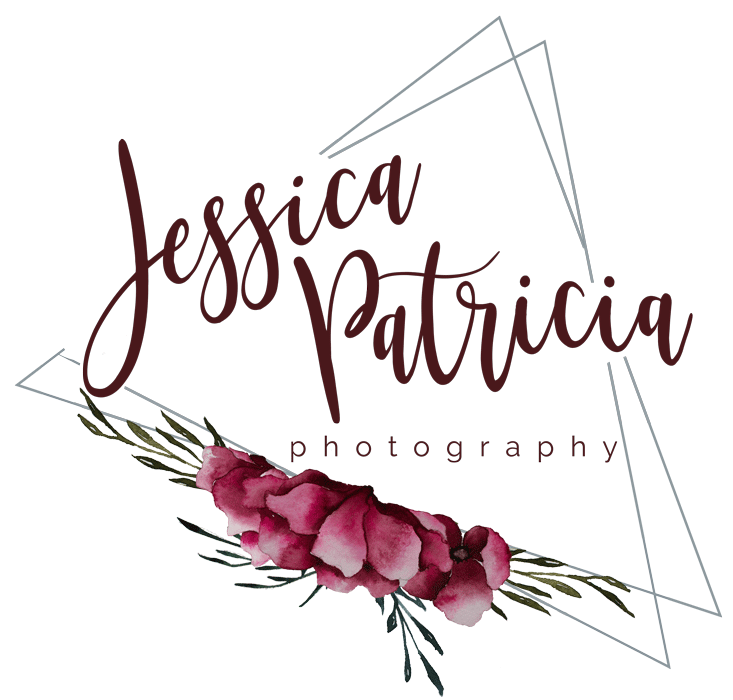 Shout out to Chelsea Brinton Photography for assisting in the coordination and execution of this shoot and for shooting with me!